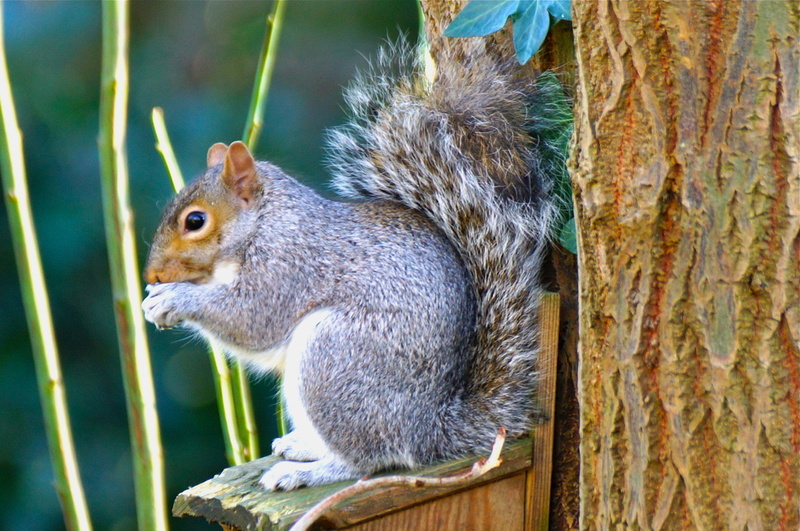 One of the garden Squirrels being good and using their feeder and not the ones for the birds. Fabulous! Love the detail. Fav! Just wait til his feeder is empty, then it's back to the bird feeders! Great shot, love the light! Love his feeder! What a neat picture j- good colors. Lovely textures here - in the squirrel's tail and the tree bark. @night_nurse @beryl @tuya @elisasaeter @milaniet @dh Thank you very much for your comments and Fav. @nanalisarocks Thank you Lisa, yes he will be straight back on the bird feeders but the birds have started pinching his peanuts from the bottom of his feeder !